Biographical Information: Alfred was born 11 January 1905 to parents Oliver and Mary Cockhead of Portsmouth, Hampshire. Alfred joined the Navy at age 18. 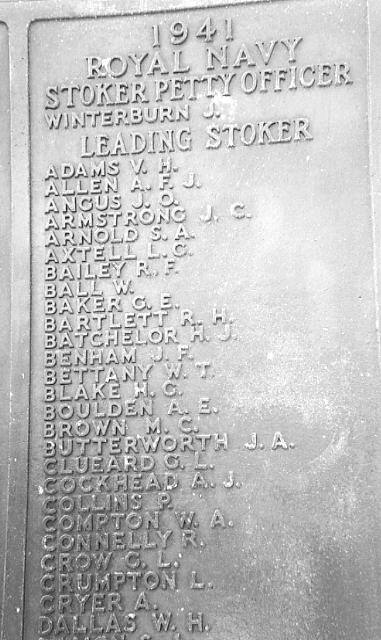 He served in H.M.S. Milford and other ships prior to Hood. Alfred was the husband of Alice Cockhead, of Gosport, Hampshire. Together they had 4 children. He was 37 years old at the time of his loss. We have no additional information.